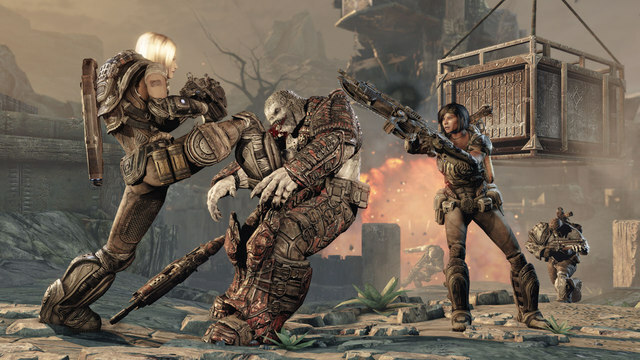 Gears of Halo - Video game reviews, news and cosplay : Are these Gears of War 3's Achievements? * Marcus, It’s Your Father (5G) You woke up from a bad dream. Story Progression in Act 1 Chapter 1 (Cinematic or Arcade). * It’s Called Progress (10 G) Complete a chapter in Arcade campaign with an improved high score. * Seriously 3.0 (100 G) You’ve done it all! Level 100, campaign on insane, earn every ribbon/medal, complete Horde/Beast on all 10 maps. * Back to Basic (5 G) Won a match against bots in the Training Grounds. What do you think? Fly or die?